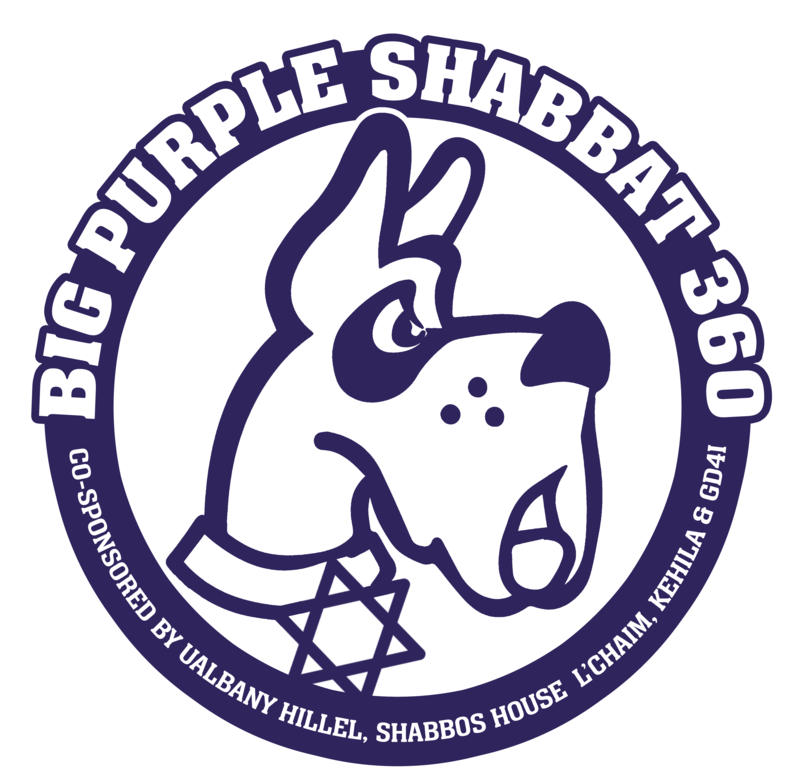 This special once-a-year Shabbat dinner is co-sponsored by all the Jewish organizations on campus, a joint united effort of UAlbany Hillel, Shabbos House Lchaim (Chabad), Kehila, Great Danes for Israel and others. All are welcome, please help spread the word. Save the date: Friday, February 22nd, 2019 at 7:00pm in the Campus Center Ballroom. Easy date to remember: 2/22! 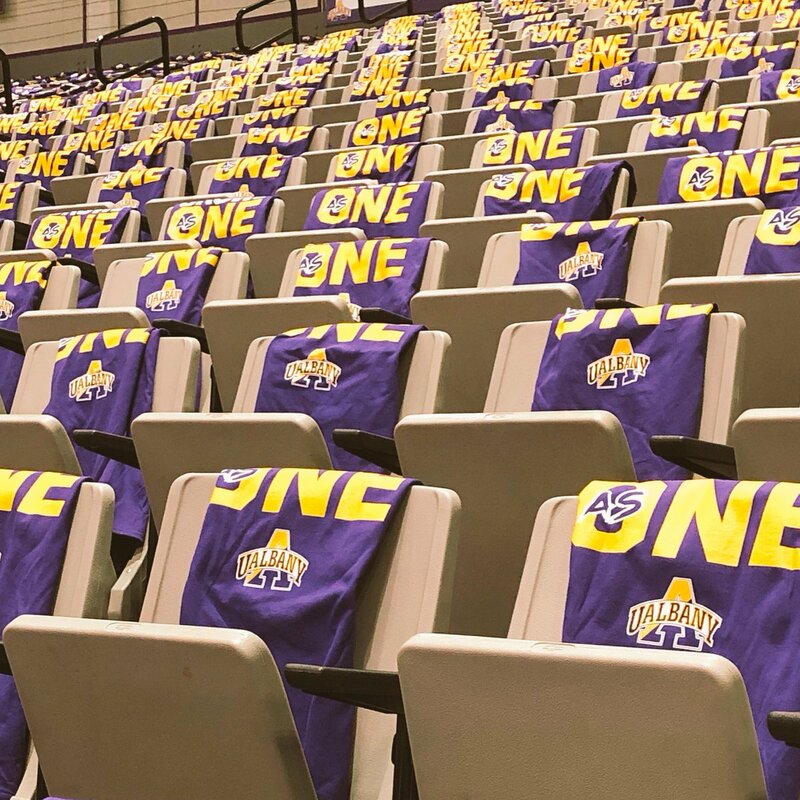 UAlbany’s latest tshirt for the Big Purple Growl this February says it all! We come to Shabbat 360 to GROWL AS ONE! It’s all about unity, community, coming together for one big Shabbat dinner celebration. Everyone knows that Judaism is big in ONE, as in our famous one-line Shema prayer ends on the note of ONE. The more of us that come, the more growl and the more oneness! This could get philosophical. Some may see Shabbat’s religious restrictions as a tether, a leash you might say. But for those who cherish Shabbat, it is actually a way to unleash our inner greatness. It’s a getaway from the tethers of everyday life – an escape and respite to reveal an inner experience, a spiritual aspect, a deeper potential! But that’s all philosophical and a way to connect with this new UAlbany 175 Slogan. In practicality, coming to Shabbat 360 does not impose any restrictions or obligations, just come for an hour or ninety minutes and enjoy the spirit and sense of community! Or see below under “Motto” for a different #UnleashGreatness interpretation. Yes, we are repurposing another new UAlbany slogan! Indeed, Shabbat and all that it represents and symbolizes helps us develop, achieve and internalize a deep sense of purpose. You could say that weekday activities are where we invest our passion while Shabbat helps reveal the purpose. 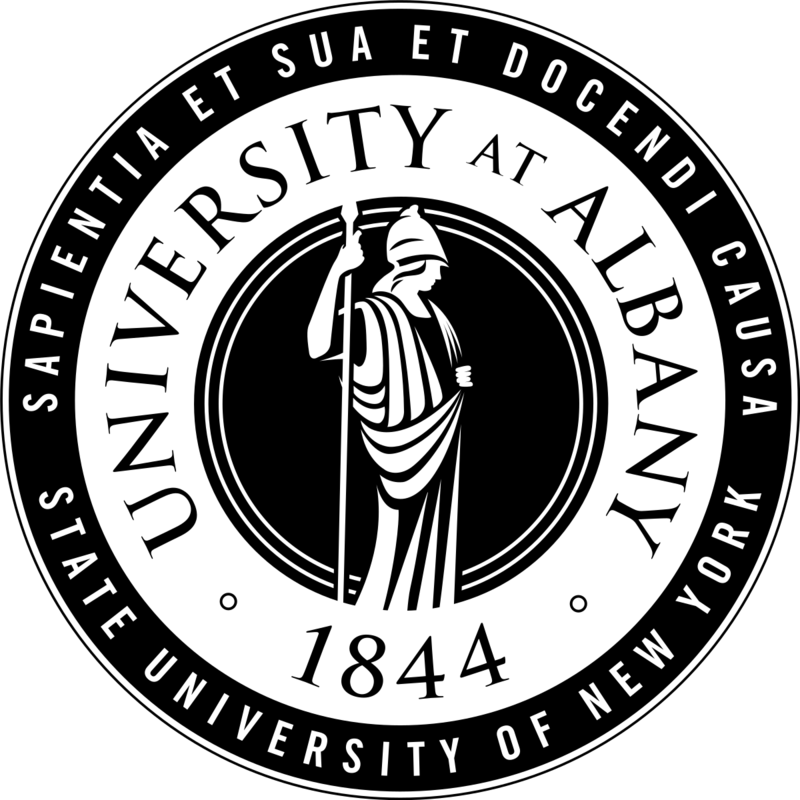 I never noticed the Latin words of the University’s motto on the UAlbany official seal before. It reads: Sapientia et sua et docendi causa “Wisdom, both for its own sake and for the sake of teaching”. This dates back to when UAlbany was primarily a teachers college, but the message reflects a Hebrew expression in the prayerbook said before the Shema: Lilmod U’Lilamed – to learn and to teach. Our studies ought to be both abstract and applied, for ourselves and for others. How does this fit into #Shabbat360? Every Shabbat on campus, especially Shabbat 360 is both for personal benefit as well as for the sake of community. It does ourselves good, and it is something we share. 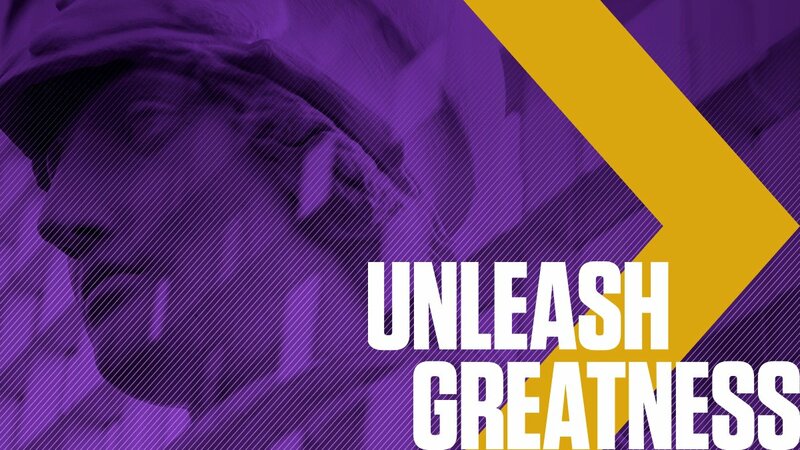 Both phrases of this motto (study for its own sake, and study to teach) express self-transcendence, as in a newer UAlbany motto: #UnleashGreatness. We’re not in this just for ourselves, not at Shabbat 360 and not all year ’round. The truth is that this motto also relates to another Hebrew expression Torah Lishma – study for its own sake, but that’s a (important) conversation for another time. Don’t snarl at anyone, of course, but we’d love more and more people to know about Shabbat 360. It’s our biggest Jewish communal gathering of the year on campus. The best way to spread the word is like a (good) virus – from one person to another. You don’t need to be on a board or have a leadership position to do this, everyone can! 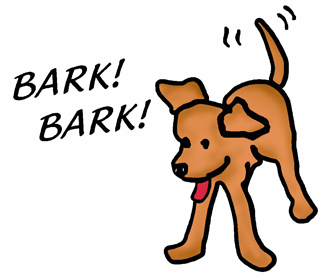 And just as dogs barking has a exponential effect, with more dogs continuing and furthering the barking, same it can be with us. Keep passing on the invite! See links below for 3-size flyer pages. You can also share these flyers with people, or post wherever you can (podium posters are the exception as they require approval). Simply print out one or two of these 3 page sizes, and share with friends, post in your dorm, or invite your professor. Thanks for helping get the word out!